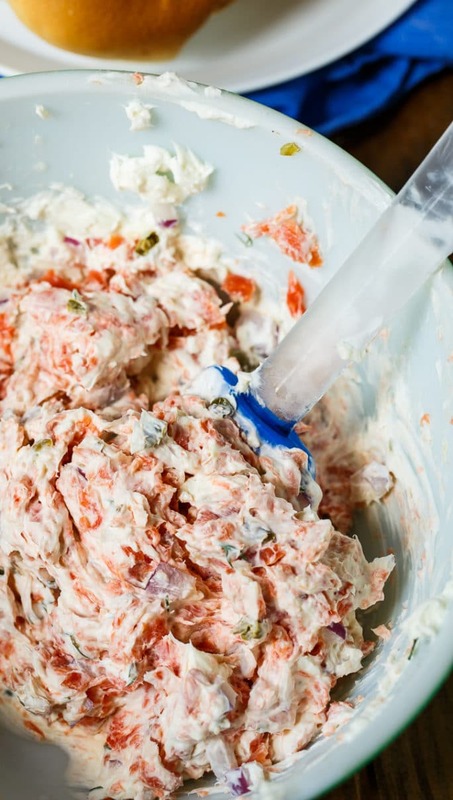 Smoked Salmon Spread is flavored with red onion, capers, dill, and horseradish. It can be prepared in just minutes! 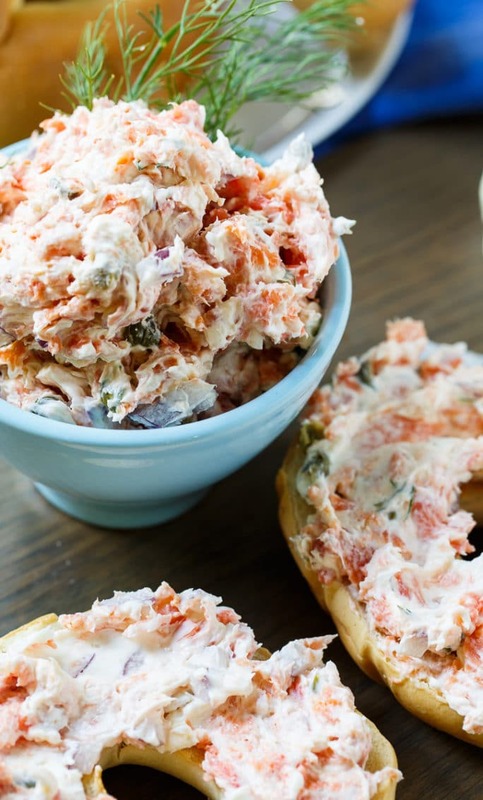 Smoked Salmon Spread makes a creamy and delicious appetizer and I love it for a special brunch. 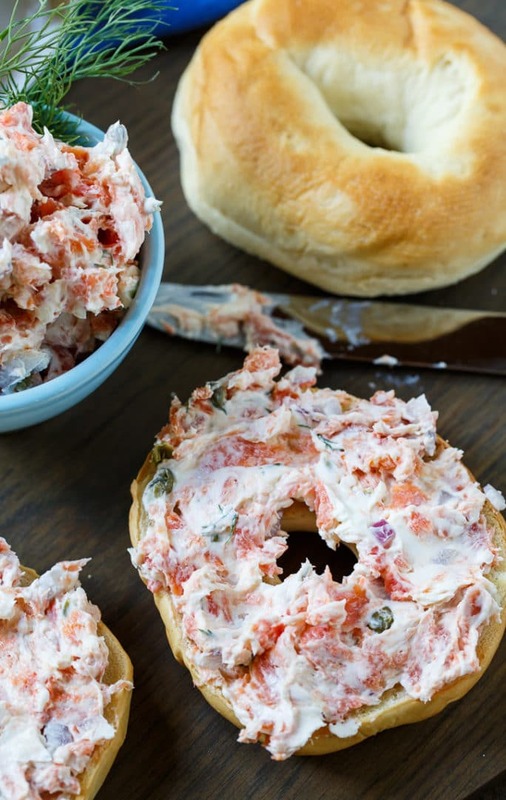 My favorite way to serve Smoked Salmon Spread is on toasted bagels, but I also love it with crackers and it tastes really good on cucumber slices if you are watching your carbs. 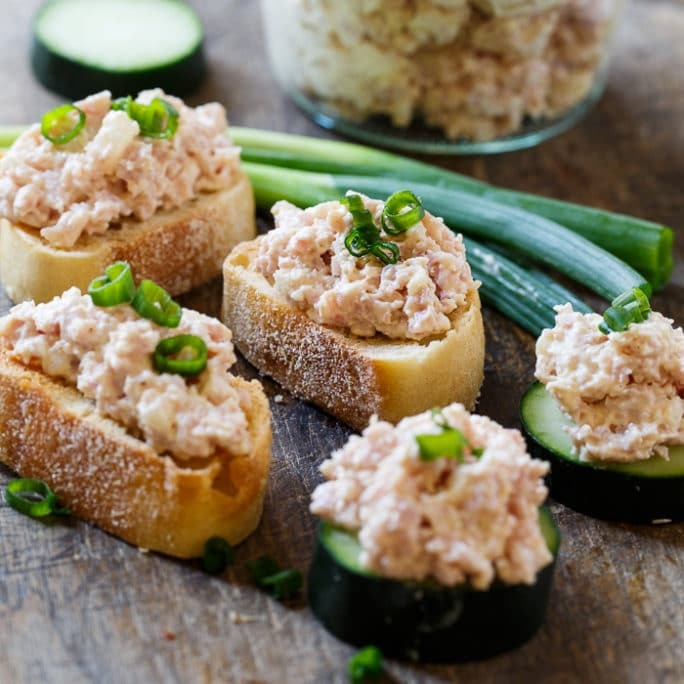 The best thing about Smoked Salmon Spread is it only takes a few minutes to prepare and only a handful of ingredients are needed. I use a full block of cream cheese mixed with a little heavy cream to make it easier to spread. For flavor I add some finely chopped red onion, a full tablespoon of capers (love them! ), some fresh dill, and horseradish for a little kick. Then of course the salmon. Six ounces of chopped smoked salmon for lots of salmon flavor. 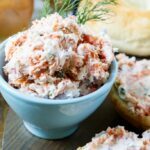 Smoked Salmon Spread is a simple, classic appetizer and is also fabulous for a special breakfast or brunch. In a medium bowl, stir together cream cheese and heavy cream until smooth. Stir in remaining ingredients and chill at least an hour before serving to let flavors meld. 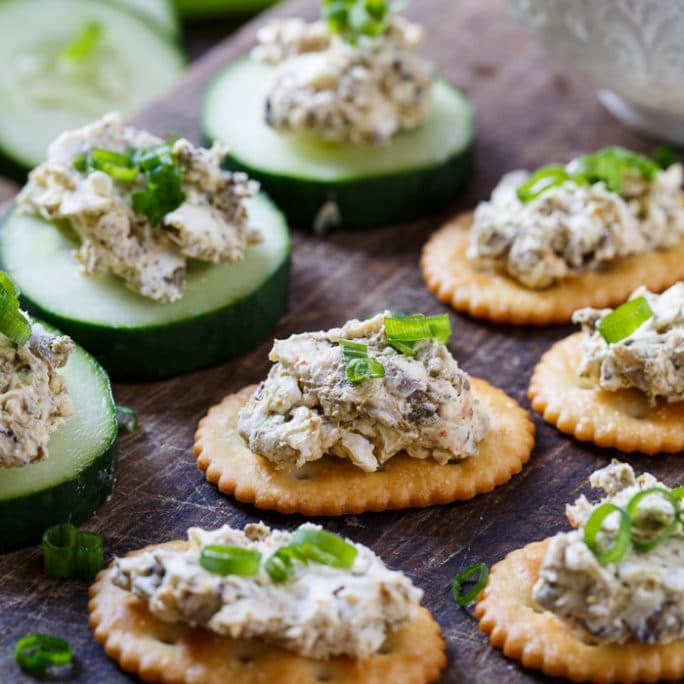 Serve with toasted bagels, crackers, or veggie sticks. This entry was posted in Appetizers and tagged salmon. Bookmark the permalink. Loved it spread on bagels! Just the right amount of smoked salmon flavor! Does the salmon have to be cooked? It needs to be smoked salmon. You don’t have to cook smoked salmon.